'Gen. Glenn McMahon' (BRAD PITT), and 'General Greg Pulver' (ANTHONY MICHAEL HALL), Berlin, Germany, October 2015. President Obama, General Stanley McCrystal and General Mike Flynn are portrayed vby; (L-R)Reggie Brown as President Barack Obama, Brad Pitt as 'General Glenn McMahon'(McCrystal) and Anthony Michael Hall as 'General Greg Pulver'. 'WAR MACHINE' - written & directed by David Michod("Animal Kingdom","The Rover"). Produced by Plan B. & Netflix. 'War Machine' will premiere this fall in theaters worldwide and on NETFLIX. The Generals: HALL is 'General Greg Pulver'. 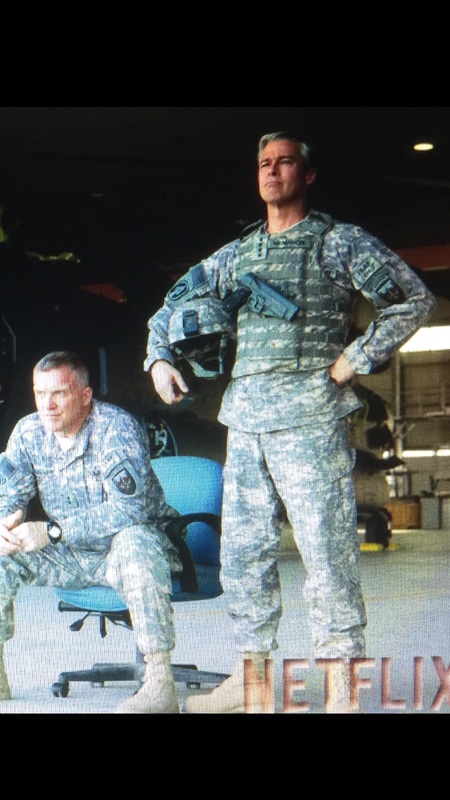 PITT(R) is 'General Glenn McMahon'- two United States Army Generals in the NETFLIX original film,"WAR MACHINE". The film is based on Michael Hastings' 2012, NY Times bestselling book "The Operators" which chronicled the events of the Iraq war. The book also focuses on the rise of former U.S. Army General Stanley McCrystal, as he lead the U.S. troops in Iraq -- then later in the Afghanistan war. Mr. Pitts'company, Plan B purchased the film rights for the book in 2015, and enlisted Australian filmmaker David Michôd to adapt the screenplay and direct the film -- which became "War Machine." On Location in the U.A.E. - Anthony Michael HALL and Brad PITT filming 'War Machine', Abu Dhabi, U.A.E. - Sept, 2015. I just wrapped on "Murder in the first" this week. I shot four episodes this month for the TNT series. I'll keep quiet about the character and storylines but I had a real nice experience with the cast and crew. So I want to thank the whole 'MITF' team. And I want to wish Taye, Kathleen and the entire cast and crew - much continued success with the show. My sincere thanks: to TNT network and to Mr. Steven Bochco and his son, Jesse Bochco (the shows executive producers) for this cool opportunity. Good people, good actors: Taye Diggs and Kathleen Robertson star in the hit TNT series, "Murder in the first", which is currently filming its third season in Los Angeles. Taye and Kathleen; cracking a case on "Murder in the first." Taye Diggs stars in the TNT network series "Murder in the first." John Hughes’ is one of the most influential filmmakers of the past few decades. His contributions as writer, director, and producer have created many well-loved and contemporary classic films. While his impact as a filmmaker in general overshadows his contributions just as a director, there are many commonalities between the films he directed versus the films he only contributed a script. As such, the trademarks considered below are meant to represent the films directed by John Hughes, but they can easily also apply to the films he contributed to, but did not direct. Hughes’ greatest contribution as a filmmaker, not just a director, is the way that his films went against established stereotypes that had previously not been explored onscreen. He took seemingly simple ideas and found great meaning and importance that many people had overlooked. His teen films went against the establishment that teens should be treated like children. He showed that growing up was difficult and more complex than it seemed. Furthermore, people could not be defined just by a single element, such as the way they looked. Weird Science focuses on two geeks who are picked on, only for them to become the coolest kids in school. Breakfast Club showed how people of different, conflicting backgrounds could find common ground and friendship, despite social norms. Hughes also went against the widely-held idea that parents know best. In many of his films, the parents or authority figures are the ones to blame for many of the pressures and issues that their children have to deal with. In The Breakfast Club, all of the kids in detention have some sort of issue with their parents that they are dealing with which influences their life negatively. In Sixteen Candles, Samantha’s parents forget her 16th birthday because of her sister’s wedding, and she feels unimportant because of this. In Ferris Bueller’s Day Off, you have the school principal transformed into a comical, slapstick villain. Finally, in John Hughes more adult-themed films, he is also playing his characters off against stereotypes. Uncle Buck can’t be defined by his appearance or flaws, he has much more to offer. More importantly, he grows from his experiences to become a better person. The same can be said about the main characters in Planes, Trains, and Automobiles. John Hughes earlier films typically told coming-of-age stories. The fact that these coming-of-age stories all took place in seemingly the most boring place on Earth, the suburbs is not a coincidence of oversight. Hughes grew up outside of Chicago, and from this familiarity with suburban life he drew a lot of the inspiration for his films. Furthermore, the suburbs were a familiar place to a lot of people, yet because of the stigma they carried as an uninteresting setting, few films took place there. By featuring the suburbs and the challenges associated with growing up there, Hughes films appealed to a segment of the population that traditionally had not been represented in popular culture. Hughes’ characters became heroes, and even if he didn’t make growing up in the suburbs cool, he made it interesting and entertaining. All of Hughes’s films either take place outside of Chicago or mention the city in some significant way. In particular, a majority of the films he has written or directed at least mention the fictional city of Shermer, Illinois. Weird Science, Ferris Bueller’s Day Off, The Breakfast Club, Plains, Trains, and Automobiles, Home Alone, Pretty In Pink, Vacation, Sixteen Candles, and She’s Having a Baby all feature this fictional city in some way. Hughes’ films are often associated with the so-called Brat Pack, even if he wasn’t really involved in its creation. Instead, Hughes’ films often told coming-of-ages stories in a suburban setting, and young audiences of the 1980’s could easily identify with the characters and situations that he created. As such, the actors portraying those characters became incredibly popular and were often cast together, including several times in Hughes’ films. Like the exclusive 60’s foursome from which it takes its name, the Brat Pack originally referred to a group of successful young men (Emilio Estevez, Rob Lowe, Tom Cruise, Sean Penn, Nicholas Cage, Matthew Broderick, Matt Dillon, and Judd Nelson) who often enjoyed having a good time together off-screen. Later, membership of the group was expanded after the success of two films in 1985; John Hughes’ The Breakfast Club, and then St. Elmo’s Fire. The Brat Pack was redefined to include the main cast of both of these films, including Emilio Estevez, Molly Ringwald, Anthony Michael Hall, Judd Nelson, Rob Lowe, Andrew McCarthy, and Ally Sheedy. Sixteen Candles (featuring Ringwald and Hall) would be Hughes’ first film starring members of this group. Anthony Michael Hall would be featured in four films written or directed by John Hughes, while Ringwald is featured in three of them. Unlike earlier Rat Pack films such as Taps or Class, Hughes’ films felt more realistic and representative of the challenges facing a new generation of young people growing up in the 80’s. Hughes simply became more associated with the group because his films reached and connected with more people and, in turn, made the actors stars more so than from other films. Hughes’ films are, well, somewhat formulaic. He uses a lot of similar structural and stylistic elements in his films, including montages, breaking the fourth wall, and similar music. He is known more for his writing talent and creating memorable characters rather than exploring new avenues of film production. However, this common feel across his films actually ends up working for him rather than against him. First, consider that what Hughes did in his films has since been repeated endlessly (which is why it seems somewhat plain today). At the time, his approach, while not necessarily stylish or exciting, was effective and interesting. No one had seen real life come alive in films as much as Hughes did. People saw themselves in his films, rather than seeing them as pure entertainment. Second, Hughes was consistent in his approach. This meant that fans watching a Hughes film could expect a certain magic. That magic is achieved in a large part due to the way his films end; i.e. happy. In Hughes’ films, the right guy gets the right girl. The character down on their luck ends up winning. Problems are solved. Typically, Hughes ends his films with one character embracing another. In Planes, Trains, and Automobiles, the film ends with Steve Martin’s character embracing his wife. In Curley Sue, the ending is a hug between Bill, Grey and Curley Sue. In Uncle Buck, there are several hugs and the ending is happiness all around as everyone’s problems have been resolved and the future looks rosy. Sixteen Candles has perhaps the most famous John Hughes typical ending, with Jake and Sam kissing over her birthday cake. The scene then freezes with the credits scrolling up. The freeze-end is also a common ending for Hughes. Most notably in Ferris Bueller’s Day Off, when he relaxes into his bed with arms behind his head and a smile on his face. The image freezes before fading to the end credits. One shot that is common in Hughes’ films is a close up shot of two characters’ eyes. Typically, these characters are looking at each other, and Hughes is emphasizing this with the extra attention to detail.It’s a versatile action for his characters to perform, and in nearly every occurrence in his films it is for a different reason. Sometimes these exchanges are simply two characters eyeing each other, such as when Allison receives her makeover in Breakfast Cluband Andrew can’t stop staring at her. At other times, the two characters’ faces are scrunched in anger. This is the case in Ferris Bueller’s Day Offwhen Ferris Bueller gives his sister a look as if threatening her to not get him in trouble when she sees that he has been lying about being ill. Or it can be a competition, as in Planes, Trains, and Automobiles when Steve Martin and Kevin Bacon both spot the same taxi and they know that it will be a race to grab it. Chillin on set: Bruce Dern(left) &Victoria Smurfit(the bride) relax with some of the cast and crew, on location in Malibu, Californai during the filming of 'The Lears.' April 28th 2016. Sean Astin, Aly and Ariel. Bruce Dern, Anthony Michael Hall and Sean Astinare starring in “The Lears,” a comic adaptation of William Shakespeare’s “King Lear,” Variety has learned. Director Carl Bessai and actress Ivy Matheson shooting a scene on the set of 'The Lears', April 24, 2015 in Malibu, California. How 'The Breakfast Club' went small scale and created a cult classic. 1985’s The Breakfast Club is a quintessential coming-of-age story about a five students who believe they have nothing in common, defined in the film as a “Princess, Athlete, Criminal, Brain and Basket Case.” Or, in more modern terms: Prep, Jock, Stoner, Nerd and Misfit. They do, however, share the fact that they’re all stuck in Saturday detention together. Trapped over the course of one long day, the fivesome eventually comes to discover that they have much more in common than initially suggested by their superficially disparate cliques. Although many would argue that Breakfast Club writer/director John Hughes’ influence is forever confined to the 1980s, the late auteur’s interpretation of modern American teenagerdom has managed to transcend subsequent generations to achieve iconic status. The high school stereotypes Hughes challenged in The Breakfast Club are the same that I myself would encounter at school over 20 years later—and that, I think it is safe to say, kids are still encountering today. The Breakfast Club is an absolute film staple. If anyone claims not to have seen it, it’s guaranteed to come as a shock. This is the kind of movie you’re bound to come across at some point in your life without even trying—probably several times. The Breakfast Club is so popular in fact that even as recently as last year the film was rereleased in theaters and restored for a 30th-anniversary edition DVD and Blu-ray. And although they don’t have quite the star power that they once did, in the mid-‘80sBreakfast Club stars Emilio Estevez, Molly Ringwald, Judd Nelson, Ally Sheedy and Anthony Michael Hall were all at the absolute height of their fairly long-lasting fame. Writer David Blum dubbed the actors (as well as other popular young movie stars of the time, such as Rob Lowe and John Cusack) the “brat pack”—a term which is still tossed around when referring to them today. The movie is universally beloved, with a whopping 91% fresh Rotten Tomatoes score,and many reminiscent articles and appreciations still floating around the web. Even the film’s soundtrack is iconic. The Breakfast Club came out in February 1985 and the song “Don’t You (Forget About Me)”, performed by Simple Minds and written exclusively for the film, reached the top of the American Billboard charts by that May. Although Universal Pictures is technically partially credited as one of the production companies of The Breakfast Club, the much smaller A&M Films and Channel Productions were its primary producers. The film was made on what would be considered a shoestring budget for such a successful feature—a measly one million dollars. Even in the mid-‘80s that price tag was astonishingly low. This was partially possible because the film was shot at only one location. The cinematographer, Thomas Del Ruth, has confirmed that the production “never left the premises. It was faster that way.” The film was quick to make and therefore required fewer days to pay cast and crew, fewer permits, fewer transportation costs and—obviously—a lot less location scouting. They may be out there, but I personally can’t think of a single big studio blockbuster of The Breakfast Club’s impact that’s been shot all in one location—a pretty impressive feat by Hughes and his collaborators. Additionally, the content of The Breakfast Club has a more typically “indie” tone and story themes. Namely: young people pushing back against the identities society has imposed on them and finding unlikely partners (along with their true selves) in nuanced, communicative ways. Even though the movie is now fairly adored, not all critics were crazy about the The Breakfast Club in 1985. Some have admitted years later to not appreciating the film sufficiently upon its original release. Like Van Gogh and many other great works of art outside of the mainstream, The Breakfast Clubonly asserted its creative innovation and lasting cultural influence with time. Even the film’s famous “Don’t You (Forget About Me)” end-of-the-film-fist-pump-jam wasn’t initially appreciated. Several artists had already turned the soundtrack spot down, and it was only after much internal debate that Simple Minds reluctantly agreed to record the song. But seeing as it was the group’s only US hit, something tells me they didn’t regret it. The Breakfast Club is the indie film version of the American dream—a startup entity that began with the odds stacked against it and barely any money; which, despite all obstacles, turned in to a lasting cinematic success story. This film is at once archetypal and subversive, with just the right amount of sentimentality to leave a sweet taste in your mouth without overwhelming you with kitsch. John Hughes did—without major studio resources—what every filmmaker dreams of doing: he created a classic. To learn more about Film Independent, subscribe to our YouTube channel. You can catch up with the rest of our blog here. And to learn how to become of Memberof Film Independent, just click here. Paul Gleason and John Hughes on the set of 'The Breakfast Club' in Chicago, 1984. Molly Rigwald, Anthony Michael Hall and Emilio Estevez. BRAD PITT, ANTHONY MICHAEL HALL star in the forthcoming NETFLIX original film 'WAR MACHINE': exclusive set photos of Brad Pitt, Anthony Michael Hall & director David Michôd on location. Brad Pitt and Ausralian filmmaker David Michôd discussing the scene; on set in London during the production of the Netflix original film 'War Machine , September, 2015. The film will be released in theatres and on Netflix this fall, 2016. 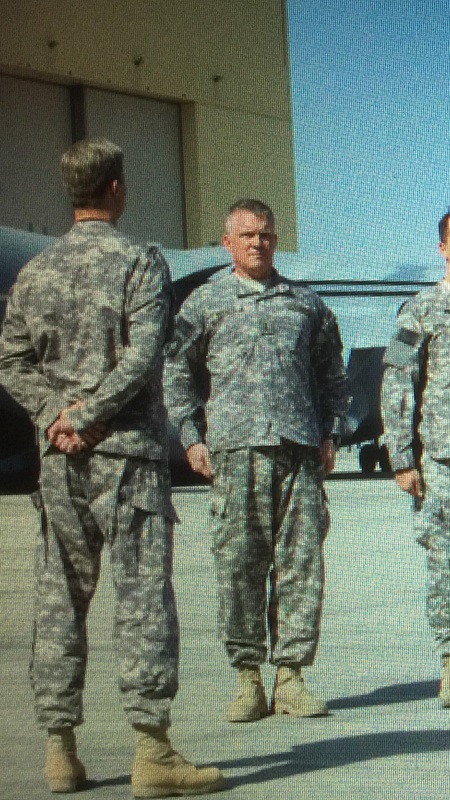 Two Generals : Anthony Michael Hall (left), is 'General Greg Pulver', Brad Pitt is 'General Glenn McMahon' in the NETFLIX original film, 'War Machine'. Pitts' 'Gen. McMahon' character is based on former U.S. Army General, Stanley McChrystal (pictured below). General Stanley McChrystal. the retired United States General who led U.S. forces on missions in the Iraq and Afghanistan wars. Mr. Pitt's production company, Plan B, produced "War Machine' for Netflix. Pitt's producing partners are Dede Gardner and Jeremy Kleiner. Plan B previously earned Oscar nominations for '12 Years a slave' and 'Selma'. 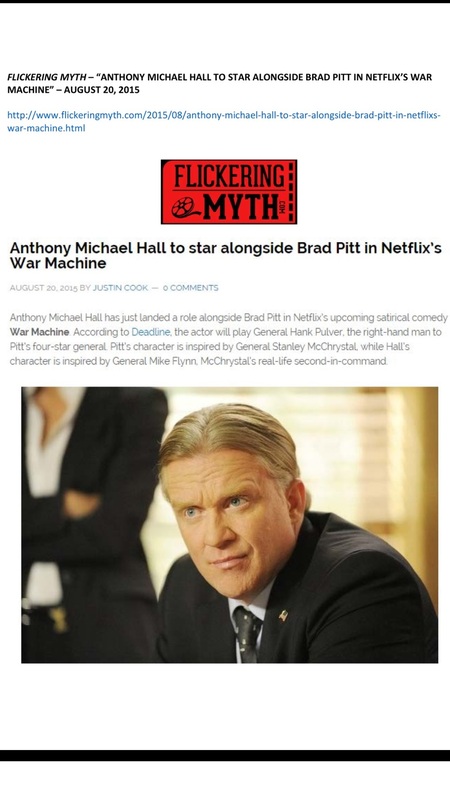 WAR MACHINES: Anthony Michael Hall is 'General Greg Pulver', Brad Pitt is 'General Glenn McMahon' in Netflix original film - 'War Machine'. Brad Pitt is 'General Glenn McMahon' in the Netflix original film 'War Machine'. Director David Michôd, Brad Pitt and Anthony Michael Hall on location filming the Netflix original film 'War Machine' in Ras Al Khaimah, U.A.E., October 2015. Pitt and Hall on set in RAK, U.A.E. Sept. 2015. HALL, PITT in 'War Machine'. The great Bruce Dern won a Golden Globe in 2014 for his performance in 'Nebraska'. He was also nominated for an Academy award, for his fine work in the Oscar nominated Alexander Payne film. Principal photography on 'The Lears' is set to begin June 18th in Los Angeles. The film also stars Sean Astin. The film will be directed by critically acclaimed Canadian filmmaker Carl Bessai, from his own screenplay. 'Natural Selection', a new film by Chad Scheifele premieres at the FirstGlance independent film festival, downtown LA, April 15th, 2016. Katherine McNamara, Mason Dye and AMH star in the film. I am proud to have been a part of a new indie film project, 'Natural Selection'. The film was directed by a talented up and coming new filmmaker, Chad Sheifele. We shot the film in Pennsylvania Dutch country (where Chad is originally from), back in 2014. The film was recently picked up by Netflix. 'Natural Selection' will be in select theaters on the east coast in limited release, and will premiere on Netflix later this year. My fellow cast members ; Katherine McNamara, Mason Dye, Ryan Munzert and Amy Carlson - all delivered really nice work in this high school drama. The entire cast and crew were a great group to work with. Check out 'Natural Selection' in selected theaters or on Netflix in 2016. Mason Dye ( 'Teen Wolf', 'Flowers in the attic'). AMH set to co-star in Joseph Kahn's, Battle rap indie film 'BODIED' this summer. Production set to begin June 2016. Joseph Kahn: the 'star making 'video director has been at the top of the music business for over 25 years. Kahn has worked with superstars such as Taylor Swift, Christina Aguilera, Beyoncé,BritneySpears, Jay Z, U2 and many more big names in the music business. He also directed "Torque", starring Ice Cube (2008)an action/comedy and "Detention"(2011) a comedy/ sci- fi/ fantasy, set in high school. The film became in an instant cult classic a few years ago for young audiences. 'Detention' (below), was Joseph Khan's second film, after 'Torque'(2008). Joe wrote and directed 'Detention' for the screen in 2011. The film starred Dane Cook and Josh Hutcherson. Joseph Kahn's first feature film, 'Torque'. Great party Plan B threw for the crew. We all had a blast at the party which was held at Th ZOO hotel and lounge in Berlin, Germany. 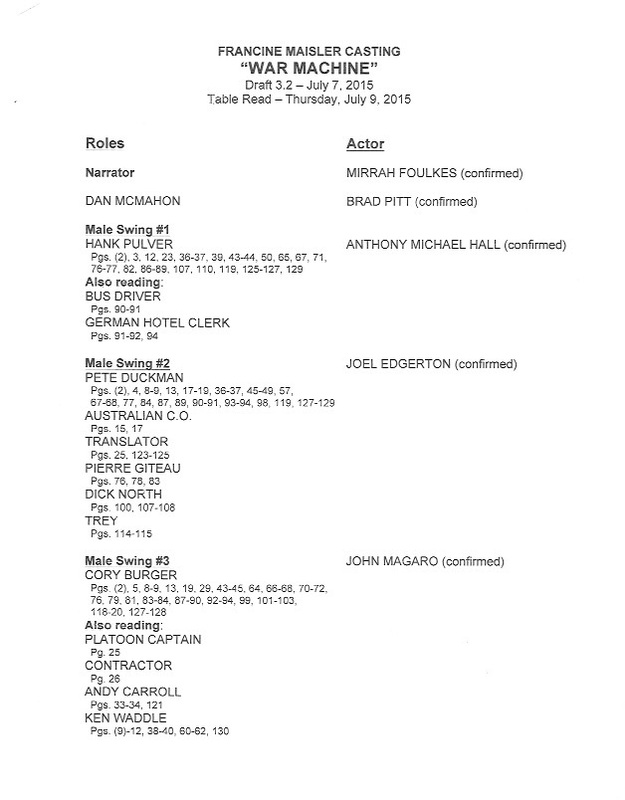 First day of rehearsal for War Machine', July 2015, in Hollywood at RED studios. Brad Pitts' company, Plan B optioned the rights to 'The Operators' and then partnered with Netflix CEO, Ted Sarandos on the deal. Pitts co. Plan B optioned the book and secured a deal with NETFLIX to produce the film in 2015. The film was shot in London, Abu Dhabi and Berlin. 'The Operators': the book that 'War Machine' is based on. The director David Michod was hired by Plan B be & Netflix to adapt the book and direct the film. First day of rehearsal at RED Studios in Hollywood, California. July 10,2015. 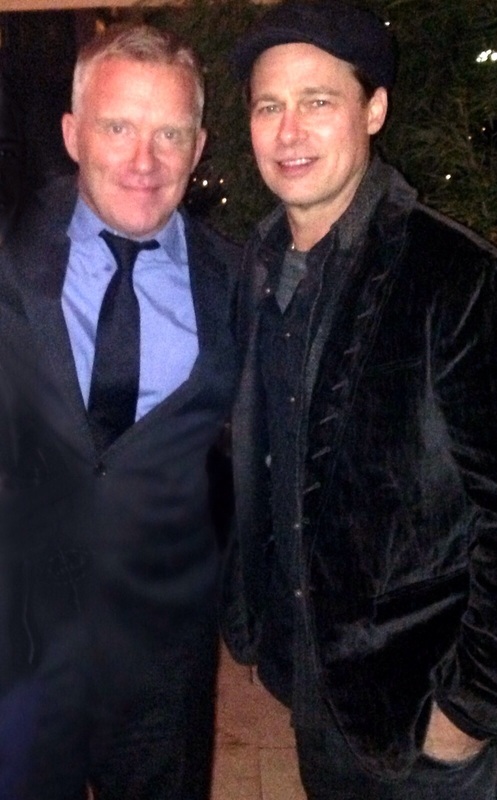 Me and Mr. Pitt @ the wrap party for 'War Machine. 'Berlin, Germany 11/21/15. RATPAC / MANHATTAN FILMS: BRETT RATNER & ANTHONY MICHAEL HALL join forces and companies- to produce 'THE LOST SHIELD', an action/drama shooting in NYC and New Orleans. Hall is set to direct and star. He penned the screenplay with a veteran NYPD detective. My old friend, little brother and producing partner, Brett Ratner of RATPAC entertainment. Brett inked his incredible deal back in 2012 with Warner Brothers. 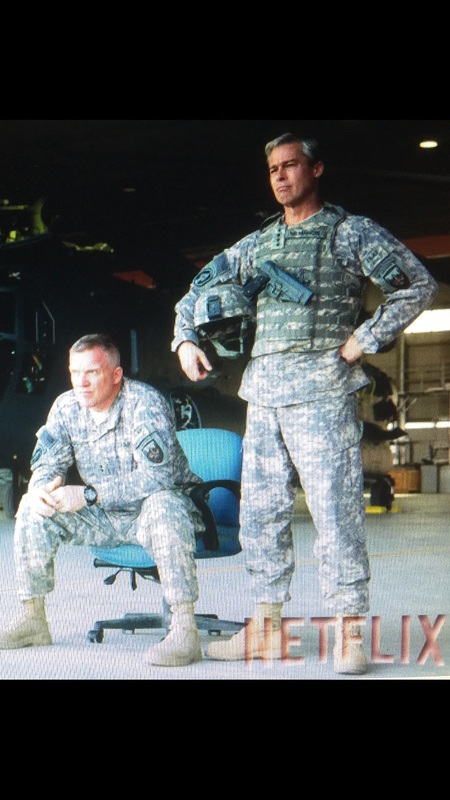 (ANTHONY MICHAEL HALL (L) as 'General Greg Pulver', and BRAD PITT (R)as 'General Glenn McMahon' star in the NETFLIX original film 'WAR MACHINE. ' The film will be released worldwide in 2017. Anthony Michael Hall and Brad Pitt and crew, on location filming 'War Machine' in the U.A.E October 2015. The film will be released in theaters internationally and on NETFLIX in the fall of 2016. 'War Machine' , the NETFLIX original film,was adapted from the Michael Hastings' book 'The Operators' by writer/ director David Michôd ('Animal Kingdom' and 'The Rover'). 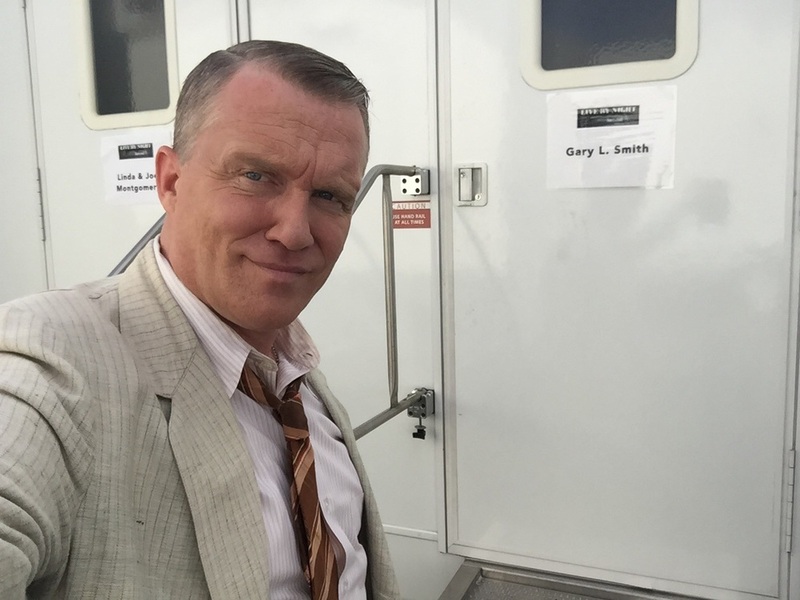 AMH co-starring in BEN AFFLECK's, 'LIVE BY NIGHT'. The Warner Brothers film stars: Affleck, Zoe Saldana, Sienna Miller, Chris Messina, Brendan Gleason and Anthony Michael Hall. Exclusive: on-set photos from the production of the forthcoming film. 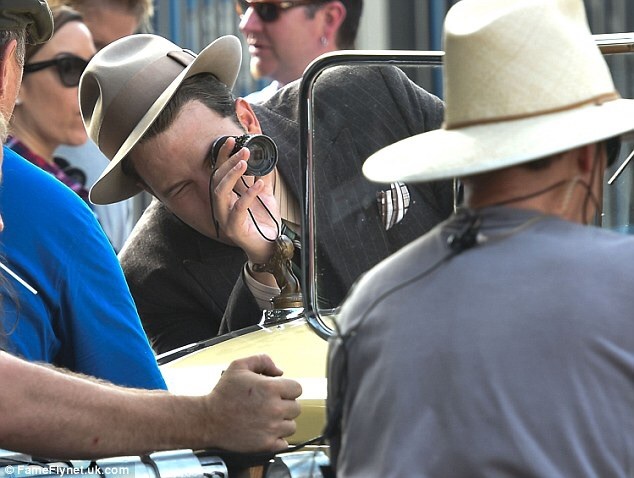 'Live by Night' is set for Jan. 2017 release date from Warner Brothers. 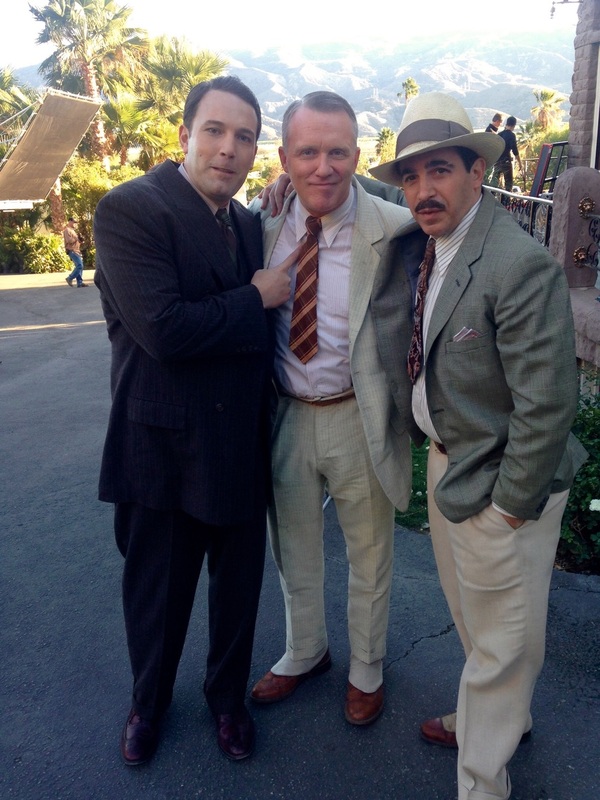 Ben Affleck, Anthony Michael Hall and Chris Messina on the set of the Warner Brothers' film 'Live by Night', Los Anegeles,Ca. Having some laughs, on set of "LBN" in Los Angeles. December 2015. Chris Messina and Ben Affleck, keeping it smooth on set. Zoe Saldana, Ben Affleck star in 'Live By Night' . 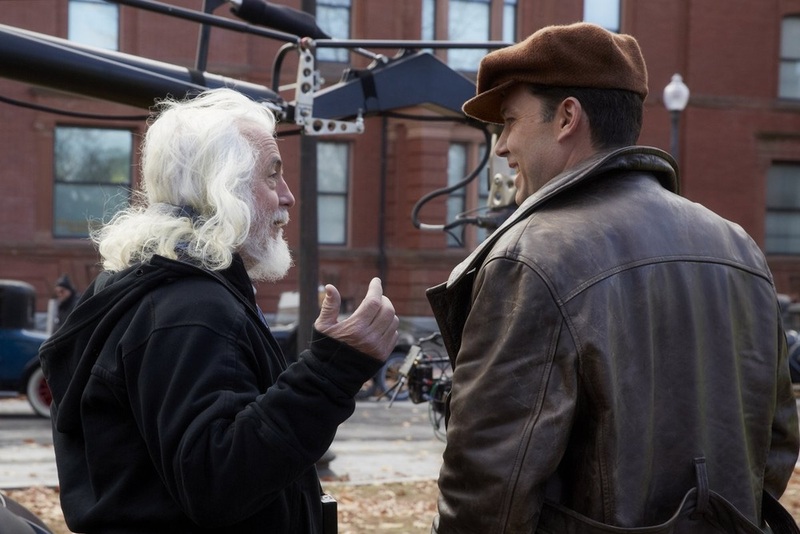 Meeting of the minds: Cinematographer Robert Richardson and Ben Affleck, enjoying a laugh on set, between takes. Sienna Miller in 'Live by Night'. Nice lady, talented actress. We made 'Foxcatcher' together in 2012 for Bennett Miller. 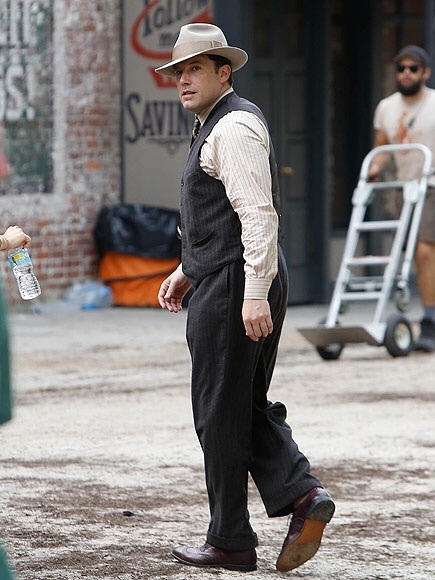 Big Ben: Affleck, as gangster 'Joe Coughlin' in 'Live by Night'. Ben and Chris filming a scene on location in Boston. Affleck setting up a shot. 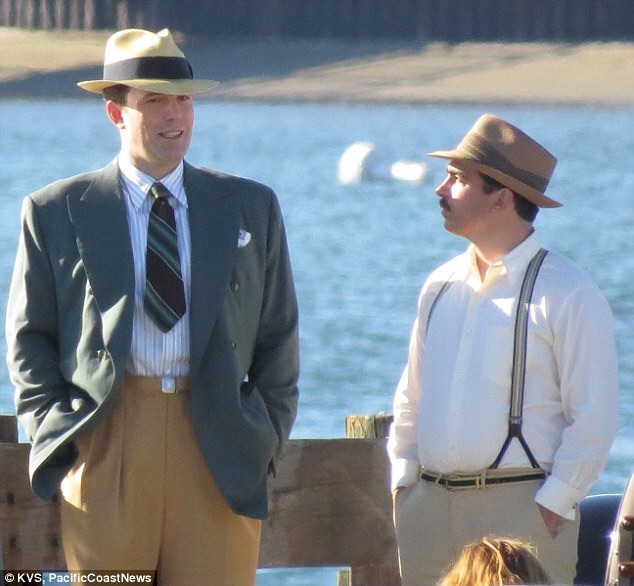 Affleck and Messina, in a scene from 'Live by Night'. In theaters - October 2017.